New York, NY – On Sunday night (December 2) Donatella Versace held the first-ever New York show for her house’s signature label and brought out all the A-list celebrities to help celebrate what would have been Gianni Versace’s 72nd birthday. 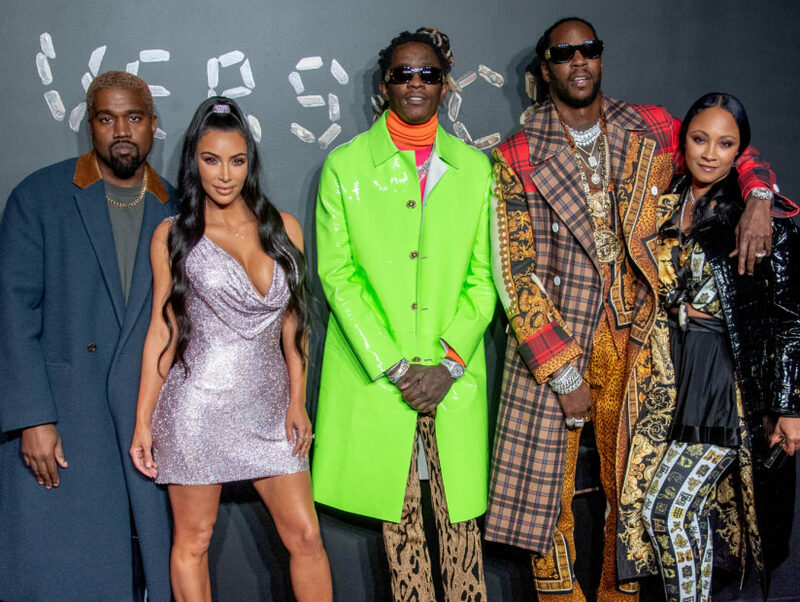 Held in Lower Manhattan, Kanye West and Kim Kardashian showed up, along with 21 Savage, 2 Chainz, Young Thug, Teyana Taylor, Ciara, Mary J. Blige, Tracee Ellis Ross, and Lupita Nyong’o, who were all adorned in the luxury labels threads. The only people missing were Drake and Migos. At one point during the Versace show, Kanye was seen scooping up a pair of earrings that fell off one of the runway models. See all the celeb looks from the fall Versace fashion pop-up show (including Ye snatching an earring off the runway) below.